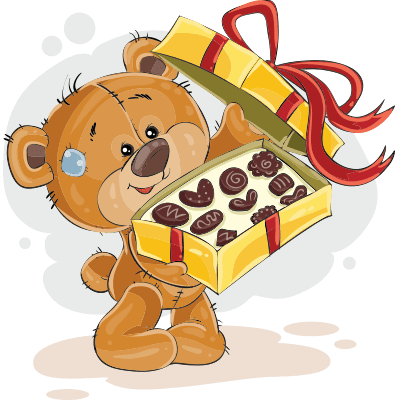 This adorable bear is holding a box of chocolates out to someone sweet. Let someone know they're on your mind with this eye-catching image. You can share this image for all sorts of occasions. Each image is designed to work anywhere you can post on Facebook. Try it out--it's easy!